More than half of British people want to see more people with physical disabilities in advertising, a study by UM has found. The research revealed that two-thirds (66%) of those with physical disabilities believe society tries to "sweep them under the rug". However, 54% of people want to see more people with physical disabilities in ads, while more than six in 10 (63%) think seeing more disabled people in ads helps to remove stigma around them. The number of respondents who specifically wanted to see more people with physical disabilities in ads was even higher (62%), while 52% expressed a desire to see more people with mental disabilities. When asked why those with mental disabilities are not currently visible enough in UK advertising, 62% of people said it is because they "make people uncomfortable", while 43% say it is because Brits aren’t exposed enough to mentally disabled people. Regarding the lack of those with physical disabilities in ads, 55% of Brits again say it is because they make people uncomfortable – while 43% believe that brands are risking "not appealing to people" with those adverts. A third (34%) even say that it is because people with physical disabilities are "not attractive". Last year Maltesers' top UK marketer said its 2016 work featuring disabled cast members was its most successful campaign in a decade. The survey of 2,000 Brits was carried out by the Interpublic media agency as part of UK by UM, its ongoing research into stereotyping in advertising. Michael Brown, head of insight at UM, said: "The disabled are perhaps the final frontier for UK advertising, the last remaining major consumer group in need of a more positive approach and less stereotyping. 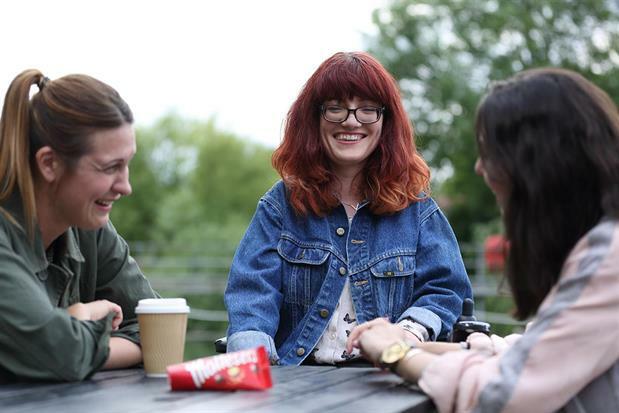 "Some brands have begun to use those with physical disabilities in their ads, famously Maltesers (pictured above), but there is clearly far more that could be done to build a more positive perception both of those people and of those with mental health conditions."